As a perfect treat for the summer months, the zoo’s nutrition team created frosty snacks for the animals! Our furry friends at Litchfield Park's Wildlife World Zoo were treated to specialized popsicles to cool off from the summer temperatures. Watch the video above to see the animals light up and play with their cold toys! 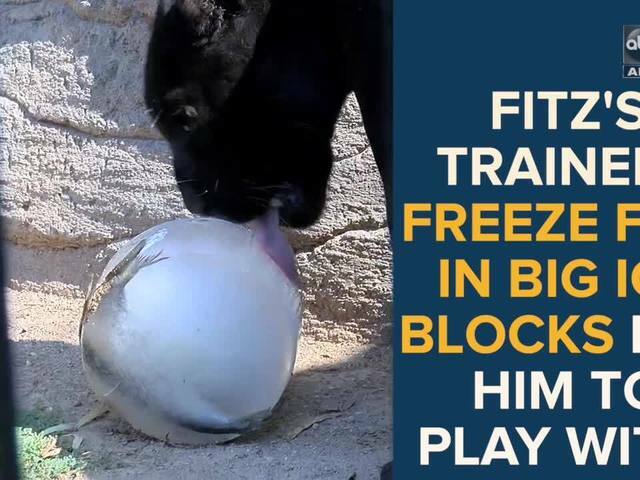 We love seeing our animal friends play with the frosty treats, but this type of care is more than just playtime! It has a scientific purpose as well. The frozen meats and fruit juice are called enrichment. The stimulating activities challenge the animals with smells, objects and sounds that help them demonstrate natural behavior. In this instance, the icy toys have a snack frozen inside that the animals have to work for.